File Types: JPG,OTF,All Files; File Size: 2.27 MB; Vector: Yes. 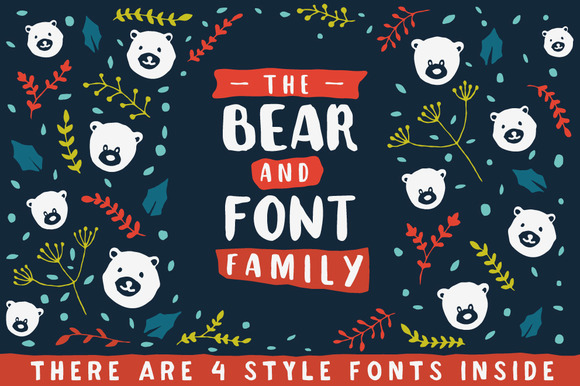 The bear family who live in typography life. There are 4 types of bears with a different character each other. This font family can help you to create fun design. Recommended for kids book cover, food & beverage labels, handmade printing, and packaging. Keywords: font, type, typeface, handmade font, bear, animal, handmade, packaging, lettering, cover.